The launch of invoko is near - a new collaborative side venture jointly marketing the talents of: sound designer Dave Schroeder--PilotVibe, graphic designer Nathan Strandberg--EightHourDay, and myself--Jonathan Chapman Photography. While the three of us have independently teamed up for a variety of projects in the past, invoko's nascent voyage took us to Seattle, Washington. With a local, Seattle based, producer at the helm, our efforts yielded an array of content from the city itself and the surrounding environs. 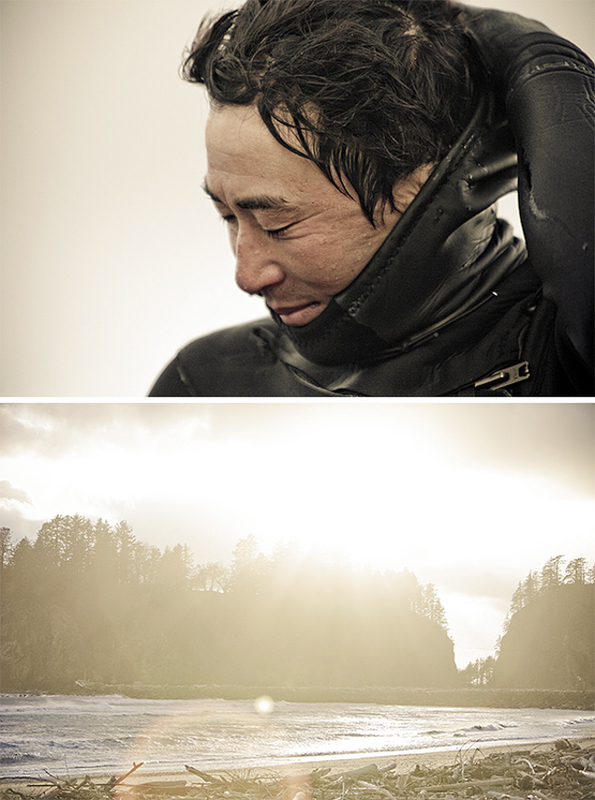 I am pleased to share the first preview of imagery we came away with--surfers from the Olympic Peninsula, and look forward to highlighting other segments of the Seattle journey. In the near future I will be announcing the debut of the full collective multimedia experience - invoko. I shot this week for Barron’s – a financial magazine from the publisher of the Wall Street Journal. It was my first shoot for them and I am pleased to say it was a direct result of an e-mail promotion that left my computer last week. It had been a while since I’d shot in downtown St. Paul, and I was a bit leery of what we’d discover in terms of locations. The subject was William B. Frels, a great name indeed, who works with Mairs and Power Inc. - Minnesota's oldest, continually owned and managed investment firm. All came together quite nicely. 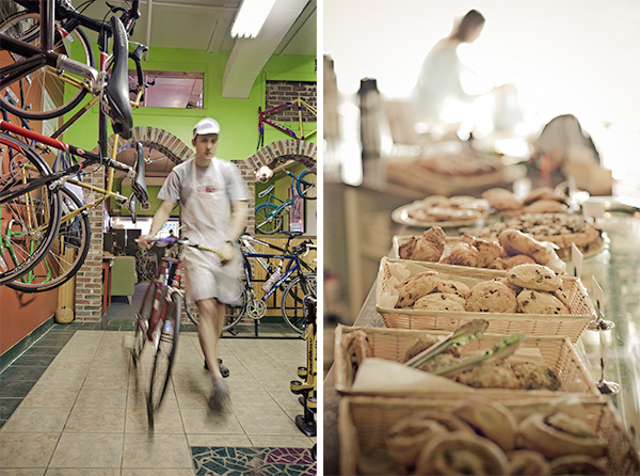 Assignment work this week led me to Stillwater, MN via Bicycling Magazine where I photographed Oliver; avid bicyclist and mastermind behind the innovative bakery and bike shop under one roof--The Bikery. Originally from Belgium, Oliver worked as a restauranteur in Bellingham, WA before moving to MN. 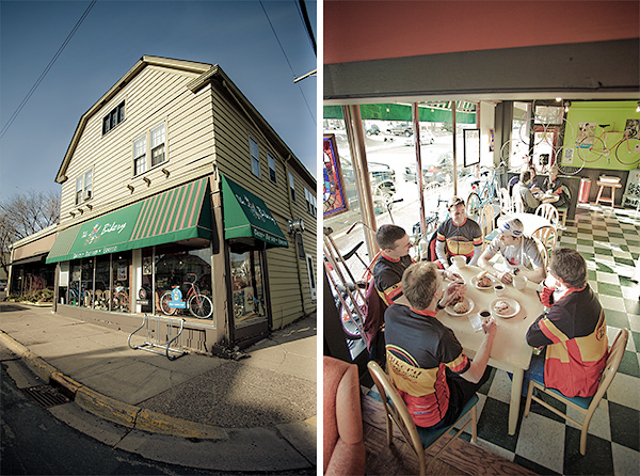 The Bikery features European inspired pastries, as well as fresh roasted coffee, both prepared daily on site. It comes as no surprise when I learned of the overwhelmingly positive support from bicyclists and cafe patrons alike. The Bikery is a must see if you are ever in Stillwater. Battling the elements last week, my crew and I found ourselves immersed in the icy remnants of winter on a shoot for Nebulus via Dalton Sherman. Produced by Humble Monkey Productions, the shoot involved coordinating local police, fire, and rescue experts, as well as, their corresponding vehicles based in Hudson, WI. 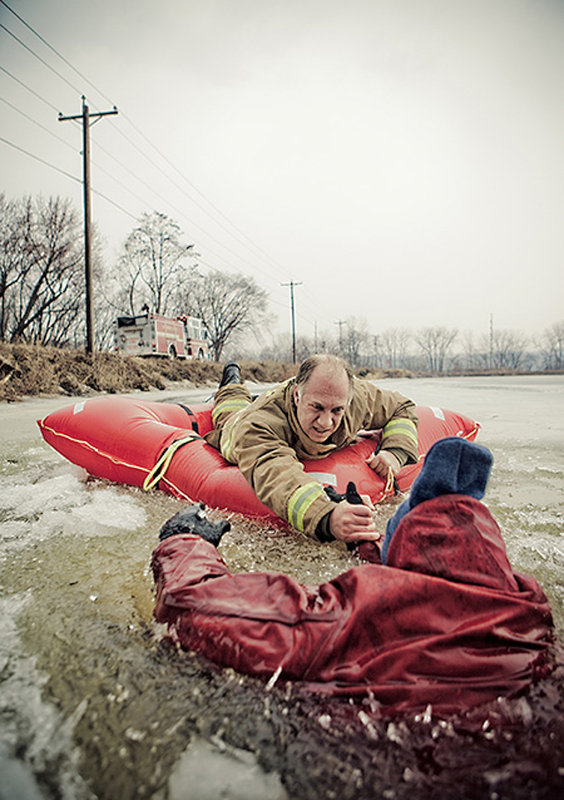 This harrowing rescue scene is one of the examples of what we achieved for the day. The final selects are with the retoucher and should be ready soon.